Grazing management during the months of September and October directly impacts the vigor and growth of pasture in the spring. For the perennial grass plant the fall season is a time of laying the foundation for next year’s growth. Although seed production is one way that a perennial plant can survive from year to year, in pastures the more important way that plants survive is through re-growth from buds located at the crown of the plant. It is during the short day, long night periods in the fall of the year that flower buds are formed/initiated on the crown of the plant. The plant leaf tissue dies during the winter, but the buds and roots of the plant remain as living tissues over the winter and continue to respire and burn energy. If root reserves are insufficient the plant may die over the winter. If the plant survives but root reserves are low, spring re-growth and vigor of the plant is reduced. From a plant health standpoint, overgrazing during the fall is more detrimental to the plant compared to overgrazing followed by rest in the early part of the growing season. Here is the reason why. Early in the growing season environmental conditions are generally favorable for rapid growth. If a plant is overgrazed, carbohydrate reserves are mobilized to start new leaf growth. The long day lengths, warm air temperatures, cool soil temperatures and good soil moisture all combine to help the plant grow leaf area quickly. New leaf growth allows the plant to once again capture energy from the sun through photosynthesis. The plant rapidly achieves a positive energy balance. Photosynthesis replaces the carbohydrate reserves and continues to provide energy needed for further leaf growth. In the fall of the year environmental conditions are not as favorable for rapid leaf growth. We can’t count upon an overgrazed plant being able to recover and generate a lot of leaf growth. Physiologically the plant growth response or the ability to put out new leaf material is more sensitive to low temperature than the rate of photosynthesis. In other words, even when plant growth might be very slow, if there is leaf area present, photosynthesis is not slowed down. On a practical level this means that since the plant growth rate is slowed the carbohydrates produced by photosynthesis during this time period accumulate in plant storage organs. This is exactly what the plant needs to survive the winter and produce new growth next spring. We sometimes use the term carbohydrate root reserves to make a distinction between carbohydrates used for growth and those used for storage. Technically, our cool season grasses store the majority of carbohydrate reserves in stem and tiller bases, some in rhizomes and only a little in roots. Regardless of the technicality, root vigor and volume is linked to leaf growth and vice versa. However, this technicality does help us to understand some management aspects of pasture grass and fall carbohydrate storage. For example, orchardgrass stores carbohydrates in the lower 3 to 4 inches of stem bases and tillers. Tall fescue and bluegrass both maintain carbohydrate storage at the base of tillers as well as rhizomes. Tall fescue and bluegrass can both tolerate lower grazing/clipping heights than orchardgrass. Once we reach the fall period it is critical that grass plants be managed to insure that adequate leaf area is left after a grazing pass. Photosynthesis will provide the carbohydrates needed for winter storage, provided there is adequate leaf area. Since leaf growth will be slow, this means leaving a typical grazing residual plus some extra. For orchardgrass this probably means 4 to 5 inches at a minimum. Tall fescue and bluegrass should probably be managed to leave a 3 to 4 inch residual. What is the consequence of not maintaining enough leaf area in the fall and overgrazing the plant? 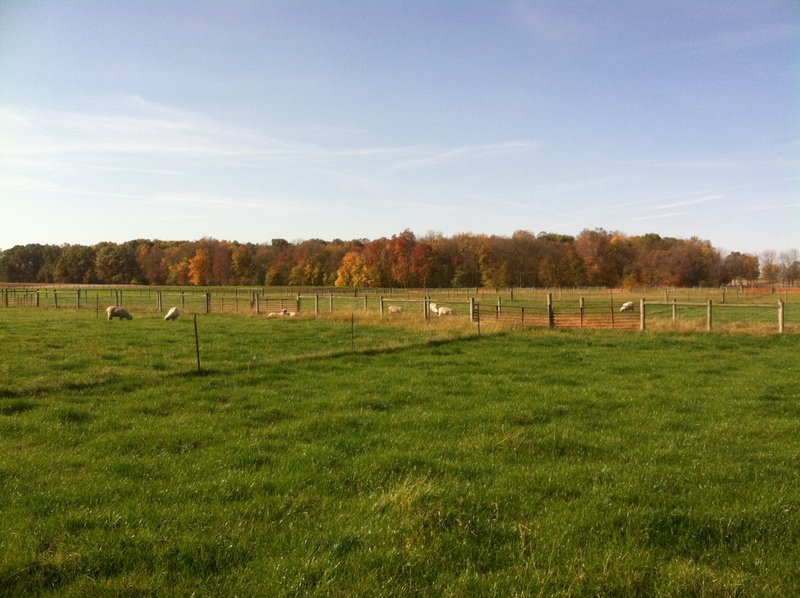 The 2012 drought provided us with the perfect example as quite a few pastures ended up being overgrazed through the fall period. 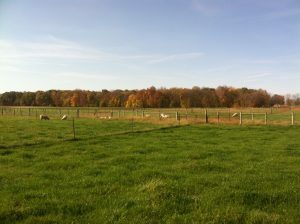 This spring I saw pastures that were overgrazed in the fall were very slow to green up and start growth in the spring. I saw overgrazed pastures exhibit lower growth rates. Some pastures never got back to pre-drought productivity. I sometimes get asked at what point in the fall grasses can be grazed to soil level without harming the plant. This has to be once top growth has ceased and when soil temperature falls below 40 degrees F. Depending upon the year, that is likely to be in mid to late November in the Wayne County area. Of course, overgrazing in the fall of the year might be used as a strategy to weaken a dominant grass stand and set it up for a frost seeding of clover. This could allow the clover seedling to compete more favorably with the grass and result in better establishment. 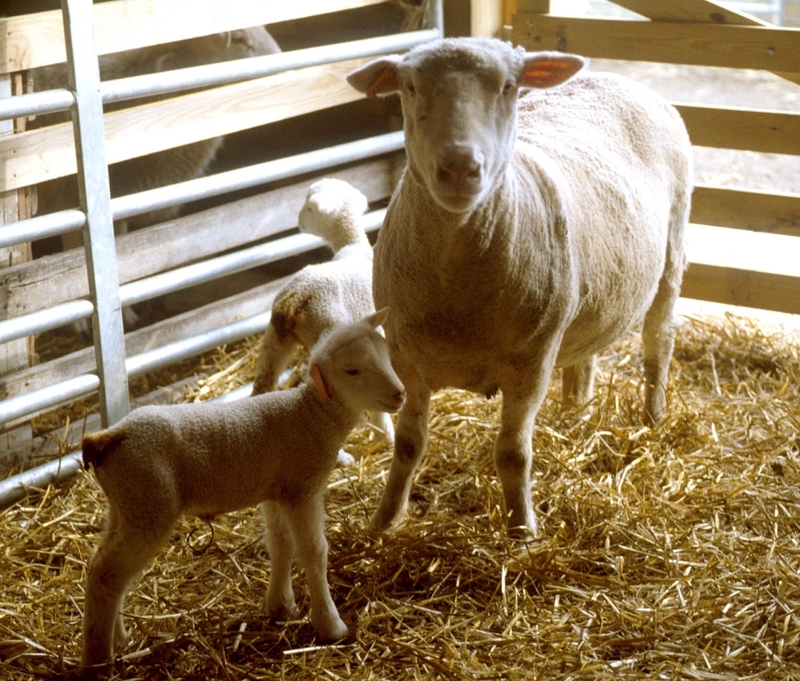 ← What Benefits are Gained by Processing Grain Fed to Sheep?